Scott Peterson's mother hired a psychic to help find her daughter-in-law, Laci Peterson. 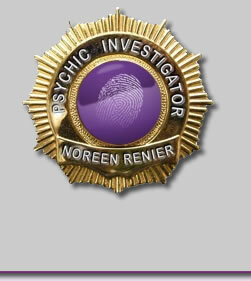 Noreen Renier, a self-proclaimed psychic investigator appeared on ABC's Good Morning America and said she had visions concerning the Laci Peterson Case. Renier said, "I saw her in the house. I saw her being hit over the head. Then I saw her fall. 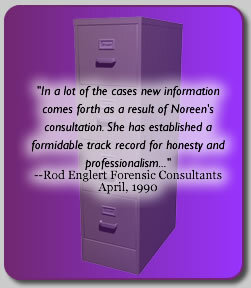 I knew that a rug or some sort of wrap was missing from the house and also the item that hit her on the head." Renier also says she had a vision of rocks and water and when she saw the video of where the bodies where found she knew her vision had been correct. A public memorial service for Laci Peterson and her son will take place on her birthday this Sunday in Modesto.